A member of a family or group who is regarded as a disgrace to it. E.g-1. He’s the black sheep of the family. 2. We must now tackle the black sheep of the industry. 3. 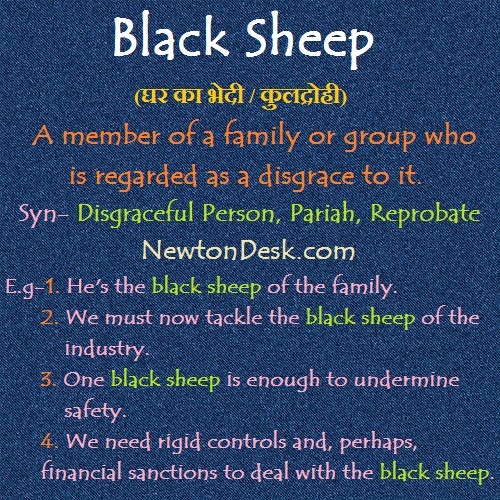 One black sheep is enough to undermine safety. 4. We need rigid controls and, perhaps, financial sanctions to deal with the black sheep.